Do you feel weird interviewing yourself? When I was in junior high school, I wanted to be Phil Donahue (not to be confused with Dr. Phil who is neither as smart nor as badass). I raced home during my forty-five minute lunch break, turned on the tube, made myself a sandwich, and tried to figure out what piping hot question Mr. Donahue or one of his audience members would ask next. I prepped for these sessions by interviewing myself, using a hairbrush as a mic, and trust me, it was a whole lot easier guessing my next question. After the show was canceled, I moved on to Oprah, Charlie Rose, and my current idol, Terry Gross. Terry Gross. Yes! I caught you on NPR’s Fresh Air telling her about your new book Bertrand Court. You were saying something about a cul-de-sac, but I only heard the last few minutes. All the characters in the book connect to Bertrand Court, a suburban D.C. cul-de-sac. For example, in the excerpt featured in TNB, Phil, no relation to Donahue or the doctor and who presents as a creepy lothario in prior stories, is so lonely that he stalks his pregnant ex-lover Amy at a D.C. bus stop. In the next chapter Amy’s husband Leon, a loveable and dependable architect, rifles through her wallet that he’s stolen after spotting her with Phil. He does so while situated in his brother-in-law’s empty Bertrand Court kitchen that he’s supposed to be renovating. Almost all of the book’s characters appear in more than one story but always via a different lens, depending on where they are in their lives and who they are in relationship to one another. I don’t think that’s exactly what I heard you say on Fresh Air. Oh, I’ve never been on Fresh Air. I noticed that Bertrand Court presents a side of D.C. we don’t often see in fiction or on television. Tell me more about that. My characters work for the people who work for Scandal’s Olivia Pope or House of Cards’ Congressman Underwood. They Metro in from the burbs to Capitol Hill, drive carpools, and slide into consulting jobs if their candidates lose. They’re cameramen, audio technicians, and editors who gather and package the soundbites we see on the nightly news, and they suit up and caffeinate when assigned to cover an election or political scandal. A cluster of these stories occur in the aftermath of the highly contested 2000 presidential election. Why did you choose this particular historical backdrop? I live in the D.C. area, and you can’t help but feel a strong political charge before and during the elections (particularly now, but that’s a different topic). I wanted to explore what happens after the election, when the newsrooms stop paying overtime to exhausted crews, when people attend inaugural balls or lose their jobs or sometimes both. These seismic shifts and small daily struggles underlie the delicate power balances that exist within the marriages, friendships, and more casual relationships presented in these seventeen narratives. Which of these characters are you? I think I do, but I want to hear you say it. There’s a part of me in every single character. Even the guy with the VD scare? A part of me. You weren’t listening. Otherwise, I think I did pretty well. You did, but you can put down the hairbrush now — you’re frightening the children. 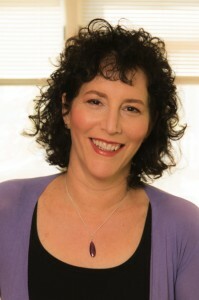 MICHELLE BRAFMAN is the author of Bertrand Court and Washing the Dead. Her work has also appeared in Lilith Magazine, the minnesota review, The Washington Post, Tablet, the Los Angeles Review of Books, Slate, and the new anthology Crush. She teaches fiction writing at the Johns Hopkins University MA in Writing Program.